 Home › Politics News › Debuty Gov. Ahmed Aliyu Resigns To Contest Against His Boss Former Gov. Tambuwal. Debuty Gov. Ahmed Aliyu Resigns To Contest Against His Boss Former Gov. Tambuwal. against his ex-boss former Gov. Tambuwal. Ahmed is the governorship candidate of the APC in the state. 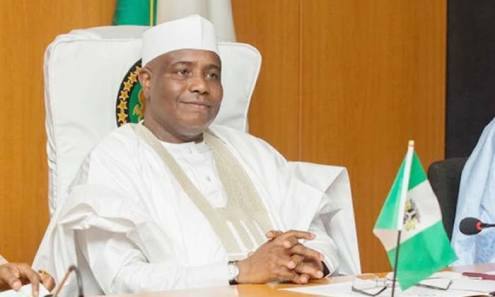 He is expected to contest against his former boss, Governor Aminu Waziri Tambuwal who is the likely flag bearer of the PDP for 2019.